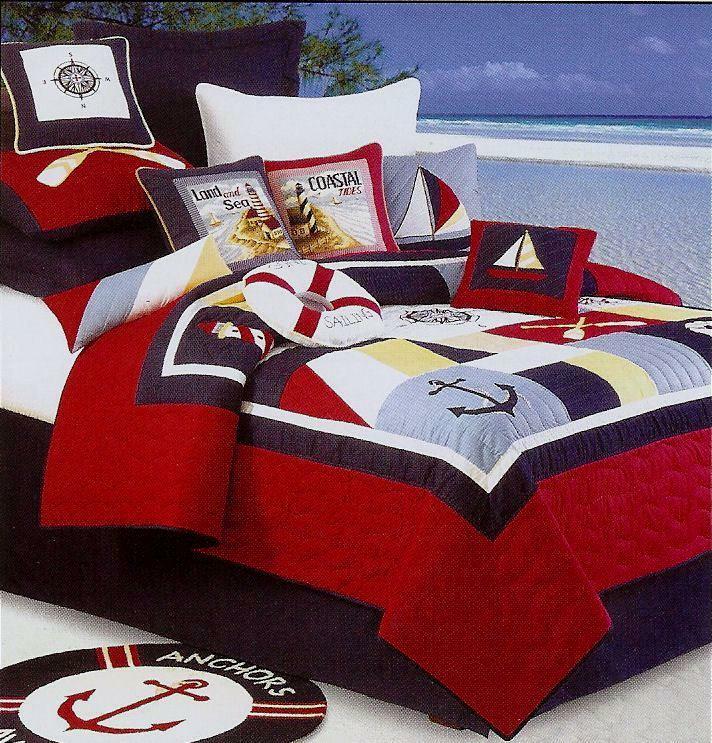 Sail away with visions of the sea with this nautical themed bed set. The shipshape ensemble features a color block pattern of red, navy, crisp white, sandy taupe, golden sun, and sky blue. 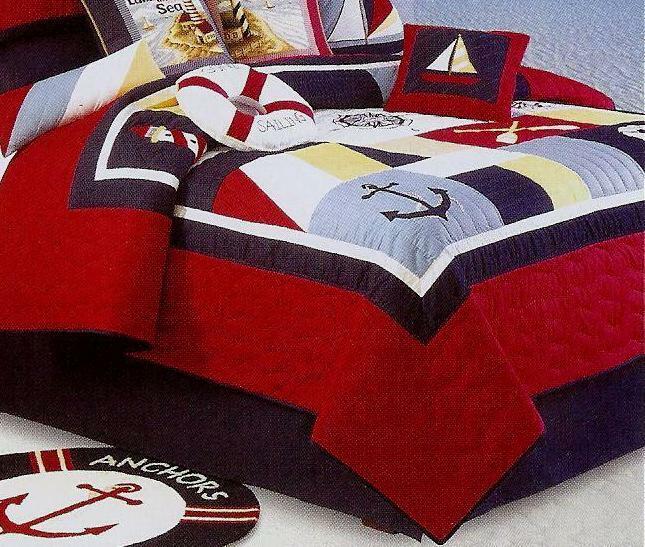 The nautical-themed hand sewn appliques of lighthouses, anchors, compasses, boat oars, and life preservers will turn any bedroom into an ocean paradise.